Stanford (17-21) baseball took the season series over rival California (23-14) Tuesday night with a 4-0 win. It was more than just any win, however, as Cardinal sophomores Chris Castellanos and Gabe Cramer came within just two outs of recording a combined no-hitter. Unfortunately, the Cardinal were denied their first no-no since 1998, when Cramer allowed a one-out infield single to Cal leadoff hitter Devin Pearson. Exactly two weeks ago, the Cardinal were in an identical position to toss a combined no hitter, but similarly fell just a few outs short. The Cardinal victory sealed the team’s seventh straight season series win over the Bears. Castellanos, coming off one of his best career outings last Friday night against Utah, in which he threw 4.1 hitless innings, quickly settled in. The sophomore rediscovered his groove in the first inning of last night’s contest and struck out two of the first three batters he faced. Castellanos carried a perfect game all the way into the fifth, but hit Cal catcher Brett Cumberland with one out in the inning. Castellanos then regained control and put down the next seven batters he faced. The only other Cal hitter to reach base on the lefty was first baseman Chris Paul, who reached on an error by Stanford third baseman Jesse Kuet. Heading into the eighth, head coach Mark Marquess was worried about his starter’s pitch count, especially since he was coming off short rest. “I would’ve liked him to finish it, but at the same time we’re trying to win the game,” Marquess said. The Cardinal offense was once again carried by the top of their order: Drew Jackson, Matt Winaker and Zach Hoffpauir, who combined to go 6-for-10 with 2 RBIs. Stanford struck quickly in the first off of a Winaker double to right-center, driving in Jackson, who had led off the inning with a single. Stanford later tacked on another run in the third off of a double from right fielder Hoffpauir, making the game 3-0. Hoffpauir is now 8-for-15 with 11 RBIs in five games against Cal this year. 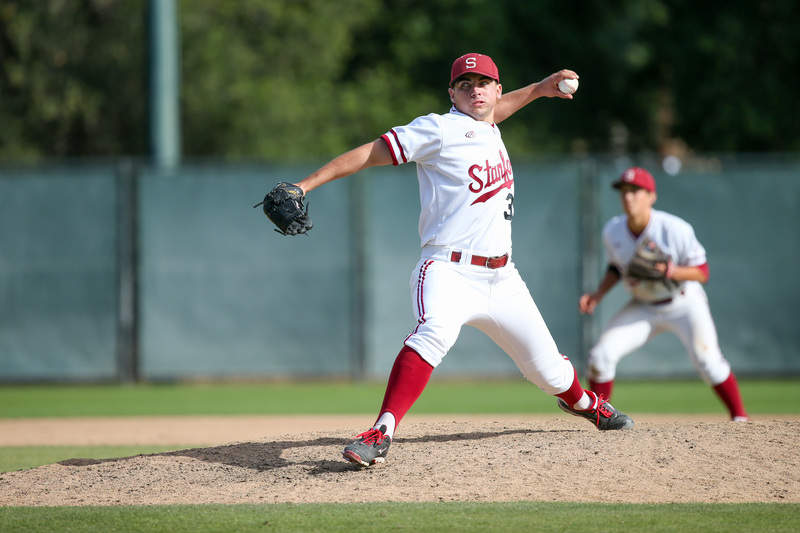 Stanford continues its homestand Friday night with a three-game series against UCLA. First pitch is at 7 p.m. at Sunken Diamond.